Two Days of Great Country Music, Beer, BBQ, Monster Truck Rides, Games and Family Fun on Long Island. From your local favorites to national acts, plus new and upcoming performers makes for a rockin' Long Island weekend that is not to be missed. Nothing but serious eating here. Come down and indulge BBQ, roasted corn, ribs, deep fried peanut butter and jelly and of course beer. 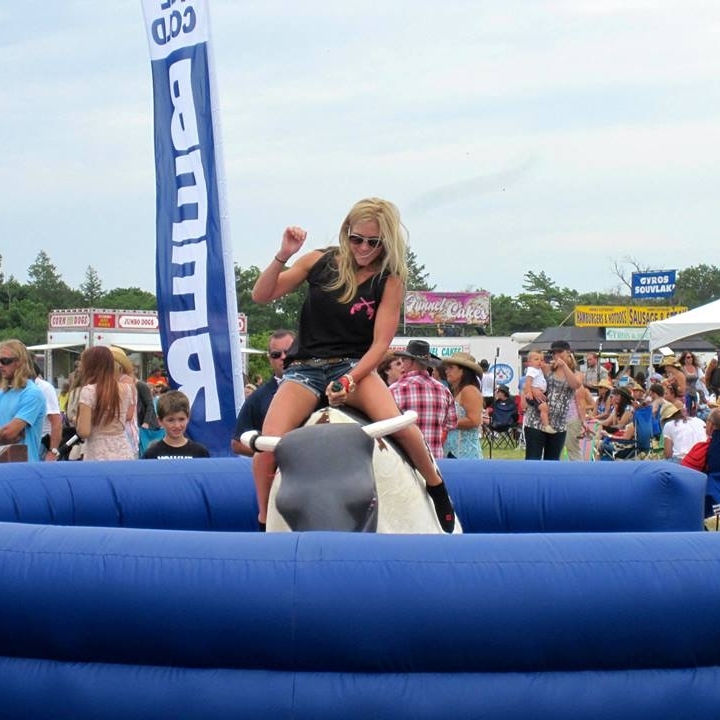 Rides, monster trucks, craft vendors, hay rides, human hamster ball races, line dancing with the LI Classic County team...we have something for everyone to keep you entertained. For the safety and comfort of all of our guests the following items are prohibited: No sharp or dangerous items, No laser pointers, No backpacks, No Cans or Bottles, No Coolers, No Outside Food. 1. Guests will enjoy the concert event experience free from foul/abusive language or obscene gestures. 2. Guests will refrain from conduct not appropriate in a public, family setting. 3. Guests who exit the facility will not be allowed to re-enter to the venue. Guests leaving the venue for exceptional circumstances may be permitted to re-enter provided they have received approval from security or guest services supervisor before exiting. 4. Guests are not permitted to bring any animals into the event with the exception of guide or service dogs for guests with disabilities. 5. You may bring: 1 factory sealed bottle of water, Umbrellas, Cane, Prescription Medications, Service Animal, Small Handbags, Strollers and Child care items such as bottles, Blankets, and Folding/Lawn Chairs. 6. IF A GUEST HAS A SPECIAL DIETARY NEEDS THE STAFF WILL TRY TO MAKE EVERY ACCOMMODATION FOR THEM. SECURITY WILL ALLOW ONE BOTTLE OF UNOPENED WATER, (THIS MUST BE FACTORY SEALED), AND ONE SANDWICH OR OTHER FOOD ITEM IN A SEALED CLEAR PLASTIC WRAP. LARGE COOLERS AND LARGE VOLUMES OF FOOD WILL NOT BE PERMITTED. 7. It is the policy of Native Events, Inc. to conduct the sale and service of alcoholic beverages in compliance with all applicable laws. The following alcohol service policies are in effect for Coutnry Fest LI. - The sale and service of alcoholic beverages to anyone under the age of 21 or any visibly intoxicated person is prohibited. - The legal drinking age in New York is 21. To ensure that minors are not served, we will require valid photo identification from every guest. Accepted forms of identification include a valid driver’s license with picture, military I.D. with picture, or passport with picture. - A maximum of two drinks may be sold to a guest per transaction; this limit may be modified to less than the specified number at the discretion of management for special events or special circumstances. A big thank you to all of our sponsors and partners that make it possible for us to come back year after year. Country Fest LI wouldn't be here without your support. Engagement. Interaction. Branding. Sampling. Impressions. Connect your brand with the loyal fest consumer! Summer after summer, thousands of Long Island music fans gather in Riverhead, New York for the annual event, Country Fest Long Island (7th Annual). Your brand has the opportunity to reach our loyal festival audience through unique and alternative advertising methods and make a memorable impact while they’re having a wonderful time. Country Fest LI offers category exclusivity to our major sponsors, as well as the first right of refusal for involvement in future festivals. Based upon your business’ marketing needs, we can customize sponsorship opportunities that are both effective and efficient, maximizing your impact and return on investment.